After the Hospital Insurance Act and the Medical Care Act were adopted in the 1960s, establishment of a health system was a priority to give significance to these two major pieces of legislation. Each province had to develop a relatively uniform level of resources (hospitals, medical clinics, other facilities) and human resources (doctors, nurses and other health practitioners) to reduce the wide gaps that existed at the time within and between neighbourhoods, cities and regions. The five principles of the Canada Health Act (CHA) were identified with this objective in mind: to make sure that proper health systems would be established in each province. The principles are simple — public administration, comprehensiveness, universality, portability of benefits and accessibility — and have had a tremendous influence on the development of our health system. The federal government originally offered to finance provincial systems to the tune of 50% of average costs. This provided a powerful incentive to establish public plans respecting the five principles, and within a few years between 1960 and 1970, all provinces had done so. The introduction of such a difficult type of program in a relatively short period of time without major public disturbances was really a major success. However, there have been profound changes in health care in the past few decades and most, if not all, western countries have adapted their health systems to improve accessibility, quality of care and performance and to maintain annual increases in healthcare costs at an acceptable level. Canada has not introduced the same level of change as other countries to keep pace with changing needs and ways of providing services. As a whole, the performance of our system has deteriorated compared to other countries. And the CHA has been a factor, though not the only factor by any means, in that relative deterioration. The CHA still plays an important role. It provides a framework for the whole country to make sure that provincial systems are relatively in line with each other. And since the federal government is participating financially in health care, rules should be set about how this money is spent. But in a way, the CHA has been a victim of its own success. No political party in Ottawa has dared to challenge the Act or propose modifications. And despite the fact that Canadians see health care as a major preoccupation, it has not been an issue in any federal election in the past 20 years. In keeping with its original mandate to establish a health system and make sure it ran properly, the CHA emphasizes the legal and administrative aspects of health care. Questions are therefore raised mainly from legal or administrative points of view: Is what a given province proposes doing legally acceptable? A few years ago when Alberta tried to establish a kind of private clinic, it was challenged on the basis that it was not in accordance with the CHA. And we have seen that objection used on a number of occasions. The time has come to give the CHA a new direction. It should focus much more on what is good and necessary for the patient, and less on what the system should look like. A good example has been set by the U.K. over the last 10 to 15 years and our system was, after all, patterned after the National Health Service (NHS) and the Beveridge report that inspired it. The emphasis should be placed on broad objectives: quality of care, the performance of provincial systems, the delimitation of services to be covered. Hospital and medical services made sense at the Act’s inception, but the idea was always that it should expand over time to cover prescription drugs, dental care and other types of care. The Act should be changed to reflect the reality that provincial health systems must cover more than just hospital and medical care. It should also recognize the need for innovation. What is lacking most in our system is room for innovation at the level where care is being produced, and this objective should be reflected in the legislation. In other words, the CHA should focus on the challenges facing provincial systems today. The principle of comprehensiveness uses the notion of “medically required” to determine whether a service should be covered by the CHA or not. Today, care is provided by multidisciplinary teams that include nurses, psychologists and others alongside doctors. It is not the act performed by one doctor that is important, but the continuity of care by the entire team. That requires continuity not just at a clinical level, but also at an administrative level. So the criterion of medically required, which has set the pattern for healthcare coverage and is still being applied, should be broadened. The comprehensiveness principle prohibits, in practice, the exclusion of hospital and medical services, whether or not they are priority services. New technologies and ways of treating patients are covered as they appear on the scene but nothing is ever excluded. It is obviously time to start doing that. Studies show that out-of-date clinical procedures continue to be used even after much more efficient ones, that are less costly to the system and to the people involved, are introduced. There is a need to introduce better practice guidelines to make sure we are covering the right services. No system will survive into the future without an effective way to establish priorities. A number of difficult questions have to be addressed in order to set priorities. In Québec, the Institut national d’excellence en santé et services sociaux (INESSS) recently recommended not covering a certain number of new drugs for the treatment of cancer patients. The INESSS came to the conclusion that the cost was so high and the benefits to be derived so small that these drugs should not be included in the formulary. And I would imagine the INESSS had in mind that if there were funds available, they could be applied with much greater benefit for the treatment of children affected by disabilities that could affect their entire lives. Since the decision was made, a lot of people have questioned why Québecers are being denied access to these drugs when they are available to people in other countries and even other provinces. The need to establish priorities raises another fundamental question, which has never been addressed clearly and openly in Canada, and that is the rights of patients. The Universal Declaration of Human Rights and the World Health Organization (WHO) both place the right to health among the fundamental human rights. Here in Canada, the Charter of Rights is silent on the question, as is the CHA. Instead of providing a clear definition of patient rights, or a system to which people could seek redress when they felt they had been the victims of avoidable errors, people have tended to seek recourse through the courts. This is a long, expensive process that involves a lot of uncertainty and is not very satisfactory. The relatives of people who died in the C. difficile epidemic at a hospital in Saint-Hyacinthe sued the hospital and, six years later, won a settlement, one third of which went to legal fees. A citizen in Ontario who was not satisfied with the wait times for a procedure he needed went to the U.S. and asked to be reimbursed. The system refused and he went to court and won. The Chaoulli case went all the way to the Supreme Court and set a precedent that may not have been used since the judgment was rendered but is still there and could have an impact in future. The trend has been to judicialize the system, which is the wrong direction. Our system, if it has to be modified, should be modified through legislation and not through the courts. The CHA, or some equivalent piece of legislation, should be retained to take our healthcare system into the future, but should be modified to make sure it is more in line with the challenges facing provincial health systems today. There is a case for the retention of the CHA when you look at the situation from the point of view of the federal government. But when you look at it from the perspective of those who have to face the day-to-day challenge of providing health care to the population, there is a case for adapting that legislation. We should, as other countries have succeeded in doing, retain the values on which our system is based but make sure that the CHA helps change our system and improve its performance. Between 1966 and 1970, the Honourable Claude Castonguay headed the Commission d’enquête sur la santé et le bien-être social, which developed the blueprint for Québec’s health and social welfare system. Upon election to the Québec National Assembly in 1970, Mr. Castonguay became Québec’s Minister of Health and Social Affairs, and assumed responsibility for putting the new system into effect. From 1995 to 1996, he served as President of the Committee of Experts on Drug Insurance. 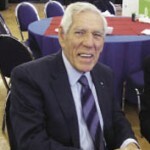 Mr. Castonguay was named Companion of the Order of Canada in 1974 and Officier de l’Ordre national du Québec in 1991. He served as a member of the Canadian Senate from 1990 to 1992. Most recently, he chaired the working group on healthcare financing in Québec (2008) and the implementation committee at the Institut national d’excellence en santé et services sociaux (INESSS).